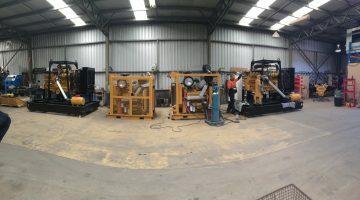 Over the past three decades, Air Research Compressors have been building and supplying booster compressors to both the mining and drilling industries to increase depth capacity with faster penetration rates. Market opportunities have become diverse over recent times and we now have units throughout all continents. As the markets have grown, we have reacted to customer needs and now offer a range of boosters in physical sizes and outputs to satisfy most demands in industry best delivery times. All units are tried and tested on site prior to delivery to ensure immediate production results occur.